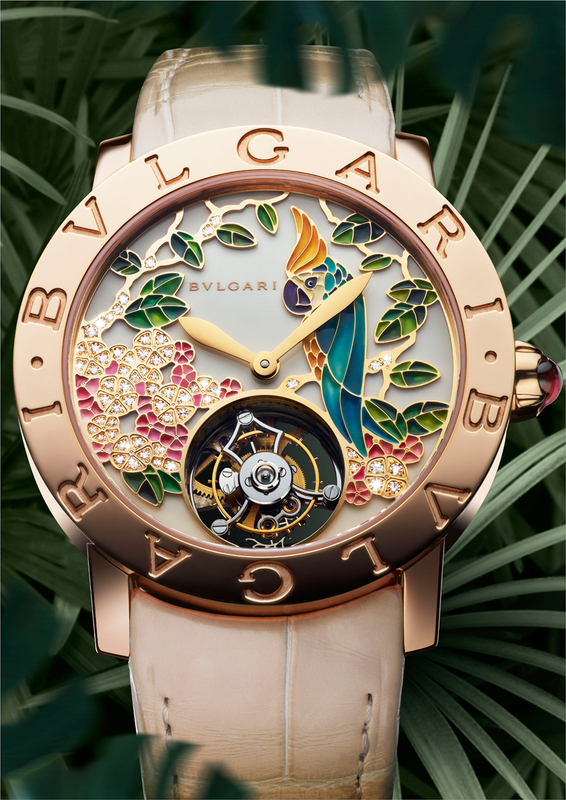 Buglari introduced it’s first grand complication watch for women during Baselworld 2013 – The Il Giardino Tropicale di Bulgari timepiece combines two of Bulgari’s mastered art forms: jewellery and miniature painting with a self-winding tourbillon movement that boasts a power reserve of 64 hours. That Giardino Topicale looks amazing. My girlfriend would love that watch. It looks a lot better than her Murano Watch, although similar with the glass inlays. What a unique watch, wouldn’t mind having one just to keep as a collection. Technologically it’s marvelous… but that dial is really for …specific tastes.